Carlos ?Cuban? Caf? on Cheery Road in Rock Hill has closed but the restaurant is moving and reopening in Tega Cay at the Stonecrest Shopping center of Hwy 160. An article in the Herald today states Carlos Caf? is closing and moving to Tega Cay because the restaurant ran out of space at their location in Rock Hill. ?Family owned Cuban Restaurant, Carlos Cafe, was created to give the Carolinas’ palette an authentic taste of Cuba! Cuban food is a fusion of flavorful spices of Spanish, African and Caribbean cuisines. The owners of Carlos Cafe are bringing a piece of Cuba’s heritage, flavors and culture with their small eatery in a big way! Inspired by Cuba…Made in the U.S.A.? 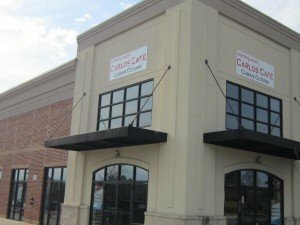 It is with bitter-sweet emotions that we announce the closing of Carlos Cafe in the Love’s Plaza in Rock Hill, SC. Our last day of operation is today, Thursday, 4/12/2012. We take with us fond and wonderful memories and we feel blessed and grateful for the warm welcome and support we received from our customers in the last four years. The Carlos Cafe family thanks you from the bottom of our hearts. 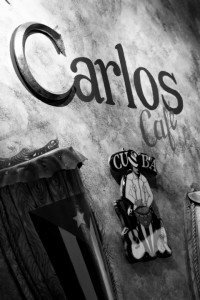 The good news is that on the early part of May 2012, we will be opening and relocating Carlos Cafe Cuban Cuisine Restaurant to the Tega Cay/Fort Mill area, and this new space will feature the best aspects of our previous space with some new elements to surprise our customers! The new Carlos Cafe Cuban Cuisine Restaurant is currently being upfitted and it is located in the Stonecrest Shopping Plaza by the Super-Walmart on Hwy 160 and the address is 1135 Stonecrest Blvd., Tega Cay, SC 29708. This is another good news in your area since many home owners will have a chance to wind up or even savor the goodness of the restaurant has to offer.